Following a rigorous research and development process which involved access to more than 13,000 strains, Müller discovered that the combination of two specific yogurt strains, created a less sour tasting yogurt which means less sugar is required to be added to create a better taste. Having already reduced total sugar by 13.5%, equalling 1759 tonnes, the new mild recipe could allow Müller to reduce sugar in its Müller Corner range by 9%. 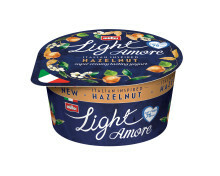 At the same time, the dairy company is also removing all added sugar from its core Müllerlight range, reducing the total sugar content by up to 28%. 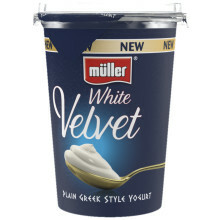 Müller, the Official Yogurt Of British Athletics, has worked for the last 18 months to develop the new culture and the new recipes, which will be available from May 2019. 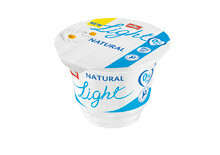 It’s backed by consumer testing, with respondents preferring the thicker texture and creamier taste. 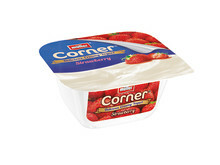 The discovery is part of Müller’s £100m investment to innovate, develop, manufacture and market a new generation of yogurt and desserts products. 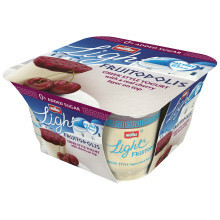 Having recently reformulated Müllerlight Greek Style and Müllerlight Fruitopolis so that they include 0% added sugar, Müller had also previously reformulated the iconic Müller Corner Strawberry flavour so that it has 19% less sugar and launched Müller Corner Plain, the dairy company’s first ever Müller Corner made with unsweetened natural Greek style yogurt. 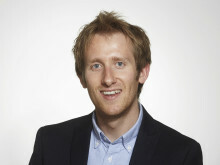 “From industry leading sugar reformulation to helping children to become more active, we’re extremely passionate about empowering people to live more healthy lifestyles. “So as the UK’s favourite yogurt brand, the challenge we faced was how to reduce sugar, without ever compromising on taste. Müller has achieved a 13.5% reduction in total sugar, equalling 1759 tonnes, since 2015, according to new data published by the company.